Football being the biggest sport in the world is a great opportunity for advertising and to expand your audience reach. Promotional football merchandise has been and will continue to be a great tool that brands use to expose their product. The current World Cup, which is in the midst of the season right now, is the most nationally covered sporting event and for fans it is like Christmas, Eid and Hannukah all wrapped into one. This is why you should think of doing a promotional campaign for the next football season. Plan ahead with this great idea below – promotional football shaped mugs! 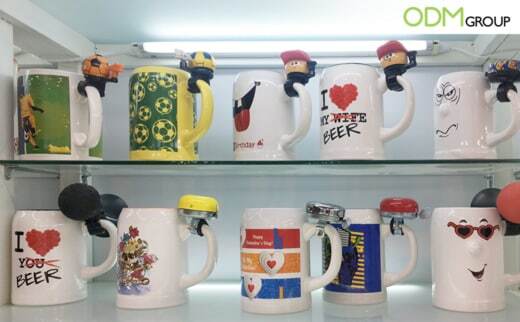 Attractive to customers.- For the customers, they are highly cost effective because mug prices are very low so as gifts they are very attractive products. Practical- Customers use coffee mugs for a variety of things, thereby ensuring they maintain their practicality for ever. Nostalgic connection- The World cup is one of the greatest and rarest sporting events meaning that many want to have as many memories as possible. In effect, this mug creates a nostalgic connection. Size of the mugs- Large surface area of the mug offers large space to advertise on. 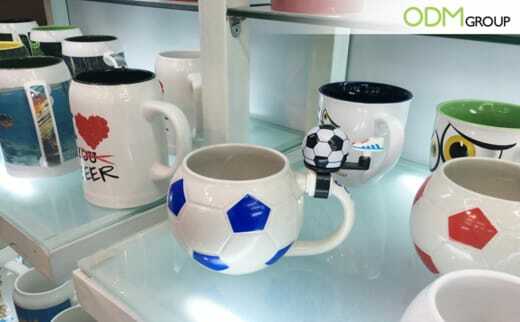 Overall, football shaped mugs are the perfect sports promo and cost effective way to make your brand known. 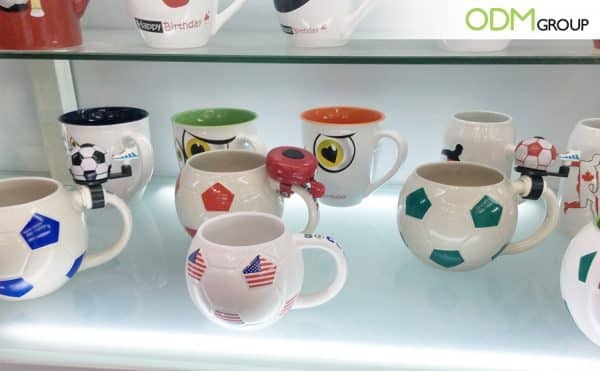 By using a mug during the World Cup, it increases your brand exposure incredibly, whilst keeping costs low. If you need any insight from promotional brand experts, ODM has an experienced team that can ensure your vision becomes a reality. Contact us today! These are two similar promotions that helped expose brand promotion because they used football that worked to great effective.